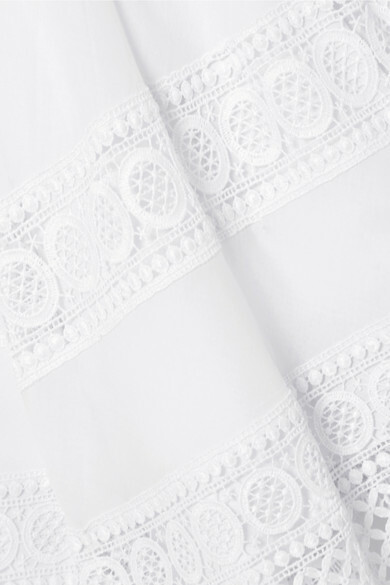 Charo Ruiz's 'Vaiana' mini dress is made for sunny weather – you'll definitely want to pack it for your next getaway. 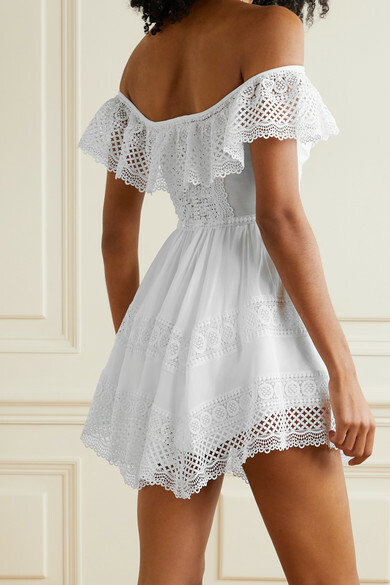 Cut from a white cotton-blend with crocheted lace panels, this piece has an off-the-shoulder neckline and handkerchief hem. Style yours over a swimsuit with flat sandals. Wear it with: Cult Gaia Shoulder bag, Isabel Marant Sandals, Chloé Cuff.